I’ve read a Facebook update from a group in the site about registering, verifying, and updating voting registration status in relation to the upcoming 2013 elections. I’ve seen the dates where the aforementioned are supposed to be accomplished but I needed to verify it nonetheless, so I asked a local public official also through Facebook. The young and dashing politician provided enough info and referred me to the town’s COMELEC office. 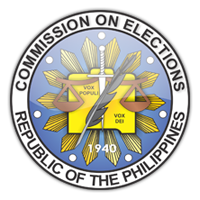 In connection to the COMELEC (Commission on Elections) office, it’s one of the two ways where you can check the status of your voter’s registration. It’s also the most effective means because you are not only able to request verification, you may also ask for an update of your status or file for reactivation in case it’s already been deactivated. In my case, my ID needs reactivation since it was already inactive. Although there are several grounds for deactivation, mine was deactivated due to failure to cast votes for two consecutive elections. During these separate occasions, I was away from town for work in far places and didn’t get the chance to be home in time for the Election Day itself. Aside from visiting a local COMELEC office, you may also verify your voter’s ID status online. The official Commission on Elections website provides an option for verification by filling out the fields in this form Precinct Finder Form. Just complete all fields required and hit on “search” to check the status of your voter’s ID. The input of my information returned the deactivated status under the results of course although I was already able to file for reactivation through our town’s local COMELEC office. In relation to reactivation, the online form is actually unable to assist you with that. It can only provide verification information. So in case there is a need to update anything on file or to reactivate your account, it must be accomplished through a nearby election commission office. Don’t worry, the same tool will offer a link redirecting you to a page where COMELEC addresses are listed. To reactivate your voter’s ID in case you are experiencing a similar issue, all you need to do is to fill out a physical form which will be provided by a local COMELEC officer. Your photo will be captured and your finger prints are imprinted. There are no fees to pay for. But make sure to do so before October 31, 2012. Otherwise, it will not be considered for the upcoming 2013 elections anymore. With that, you can now check your voting registration status as well and file for necessary corrections if need be. I checked my registration status today and it says :Deactivated due to failure to vote in 2 consecutive regular elections" What should I do? I don't want to lose the chance to vote this upcoming 2016 election. Sadly, there's not much you can do now but to wait until the next election period when filing is open again. I checked my registration status today and it says :Deactivated due to failure to validate? What should I do? Same with my mom and my relatives.. they thought they can vote this upcoming election. Sadly, hindi pwede. They will need to wait sa next elections na lang and must fix their biometrics for validation. Contact a local COMELEC office for options. This means you did not submit biometrics (I think) when they were requiring it. I'm not sure though so better ask COMELEC. It's currently disabled at the moment though pending completion of the Election 2016 results.